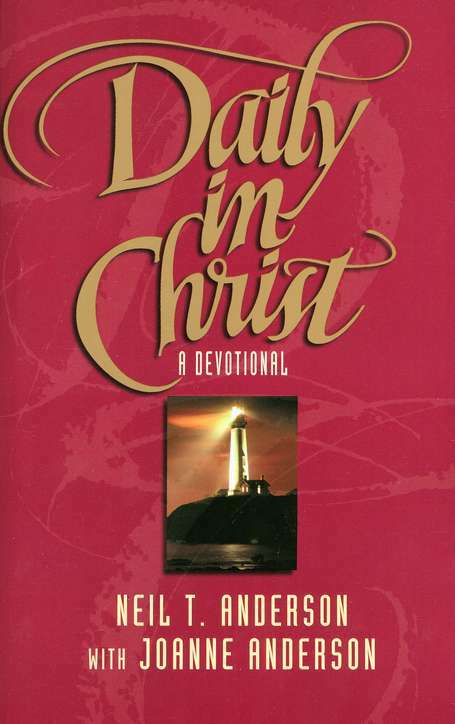 Daily in Christ Devotional from Neil Anderson is a popular daily Bible devotion. Daily in Christ Devotional from Neil Anderson offers wisdom and insight for applying Biblical truths to the ups and downs of everyday life. Reading daily devotions provides strength and encouragement in your daily walk with Jesus Christ. If by the Spirit you are putting to death the deeds of the body, you will live. For all who are being led by the Spirit of God, these are sons of God. Why do you still react as if your old skipper were still in control of your behavior? Because while you served under it, your old self trained and conditioned your actions, reactions, emotional responses, thought patterns, memories, and habits in a part of your brain called "the flesh." The flesh is that tendency within each person to operate independently of God and to center his interest on himself. An unsaved person functions totally in the flesh (Romans 8:7, 8), worshipping and serving the creature rather than the Creator (Romans 1:25). Such persons "live for themselves" (2 Corinthians 5:15), even though many of their activities may appear to be motivated by selflessness and concern for others. When you were born again, your old self died and your new self came to life, and you were made a partaker of Christ's divine nature. But your flesh remains. You brought to your Christian commitment a fully conditioned mind-set and lifestyle developed apart from God and centered on yourself. Since you were born physically alive but spiritually dead, you had neither the presence of God nor the knowledge of God's ways. So you learned to live your life independently of God. It is this learned independence that makes the flesh hostile toward God. During the years you spent separated from God, your worldly experiences thoroughly programmed your brain with thought patterns, memory traces, responses, and habits which are alien to God. So even though your old self is gone, your flesh remains in opposition to God as a preprogrammed propensity for sin, which is living independently of God. Be aware that you no longer have to obey that preprogrammed bent to live independently of God. You are a child of God, and you are free to put to death those fleshly deeds and obey Christ. Prayer: Lord, I make a fresh declaration of dependence on You for today. I renounce all my old tendencies to live independently of You.